Built by Beneteau and designed by Phillipe Briand. Masthead sloop w fin keel w spade rudder and fiberglass hull. 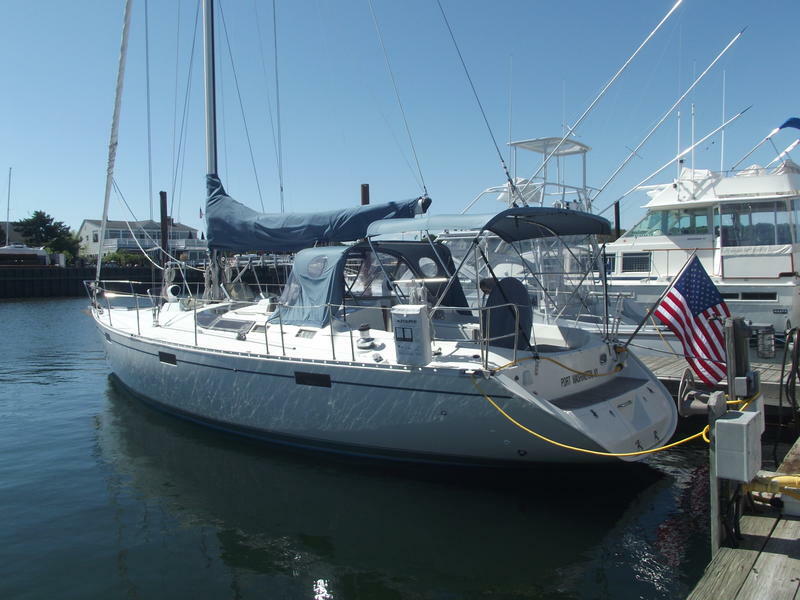 Quick under sail and easy to handle. “Allumer” is in the water in Oyster Bay, new York. Coast Guard documented vessel. 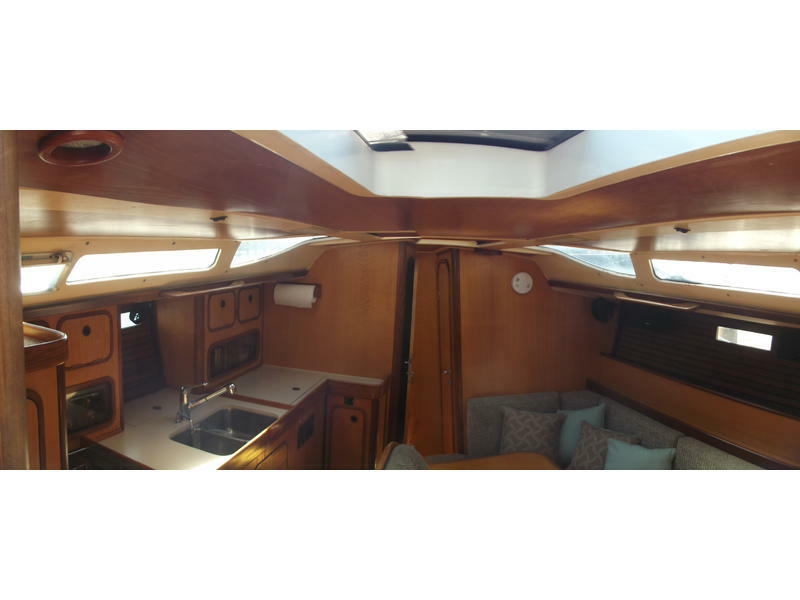 Beautifully appointed Beneteau Model 430 in meticulous condition w numerous upgrades, as evidenced by the photos. 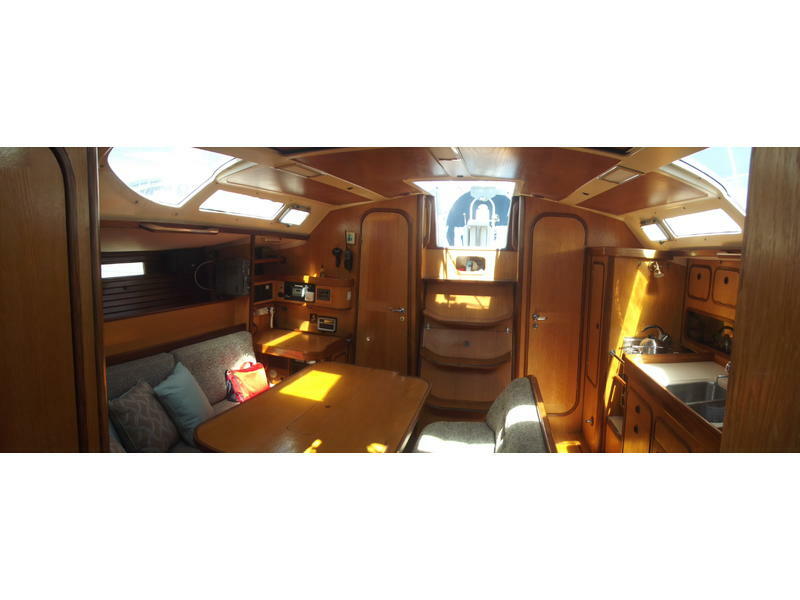 Forward master staterooom w large double/queen, two aft sleeping berths and ample storage. 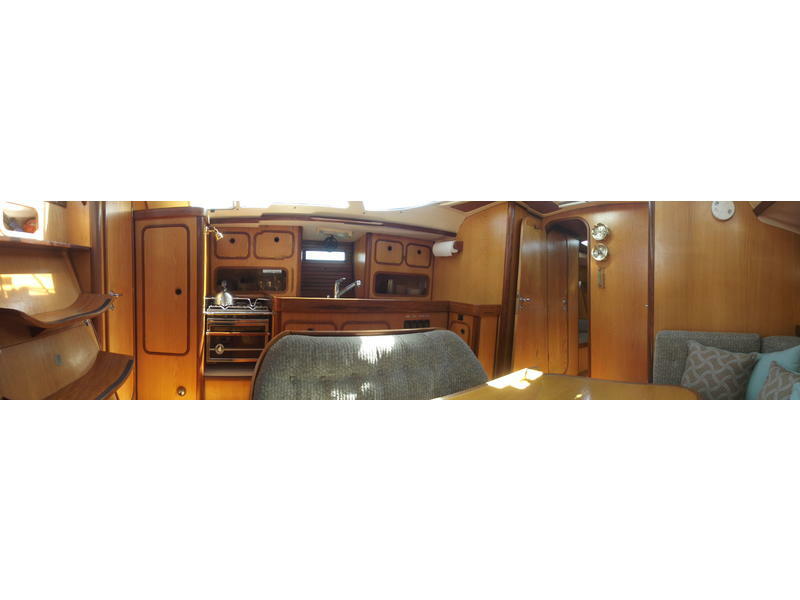 Fully equipped port l-shaped gourmet galley w stainless steel double sink, 2 burner LPG gas stove and oven, Adler Barbour refrigerator/ice box, hot and cold pressure water w single lever mixing valve and generous counter space. Bright and air galley w skylights. Spacious main salon has an l-shaped settee, plus a free standing sette that surround a very large salon table w built in storage areas. Equipped w two newly renovated heads w sink, shower and vanity. Fully equipped navigation station. Large cockpit w aft swim deck w swim ladder & shoer and two storage compartments. Cockpit features a great bi-fold table, Pacific Blue dodger, bimini and full canvas cockpit cover. Safety equipment, LifeSling, docklines and fenders, CQR 45lb anchor w line and chain, fire extinguishers & life jackets. Large 42″ wheel. Sails/Rigging: Full suit of Doyle sails – two fully battened Mains, Doyle 110 Genoa, Doyle Universal Power sail and 2005 Reckman Roller Furling. Lewmark winches. Stainless steel rod rigging. Electronics: Datamarine Model 5000 (wind, speed and depth), Silva Compass, ICOM VHF marine radio,k Kenwood T8-4305, Sony radio, Bose speakers, Special Marine electronic weather station and Ships time quartz clock. Vessel is in the water in Oyster Bay, New York. Owner negotiable. Vessel is sold “as is” and “where is”.